Once I was home watching television with my family when my bank called to ask if I had used my debit card at a fast food restaurant in Texas. I was immediately alarmed by the question. First, I never eat at that particular restaurant and secondly, I was in the Washington, DC area and my debit card was in my wallet. My bank informed me that my debit card had been cloned. The thief was making small purchases on a card identical to mine to see if the cloned card worked. The next likely step would be to make a larger purchase, but my bank’s security system stopped this from happening. While this incident was fraud and not identity theft, both are so prevalent today it’s important to know techniques to help you avoid being a victim of either. 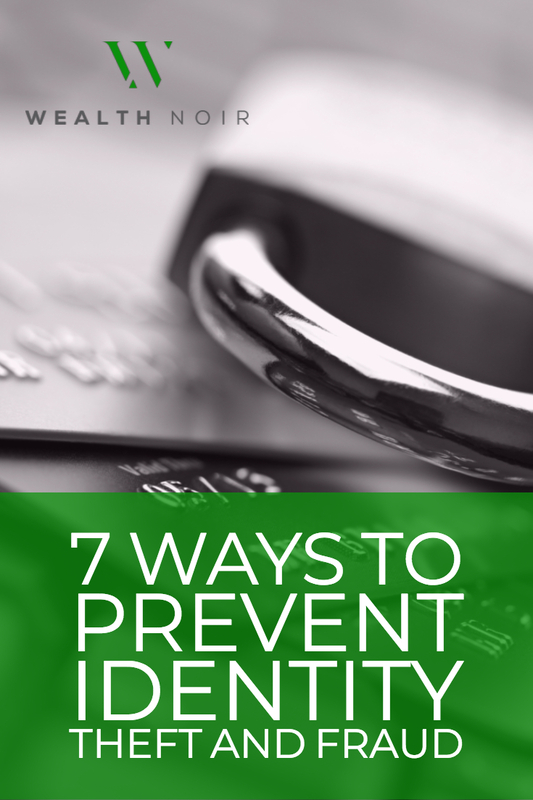 It’s also critical to know what action to take if your identity is stolen. 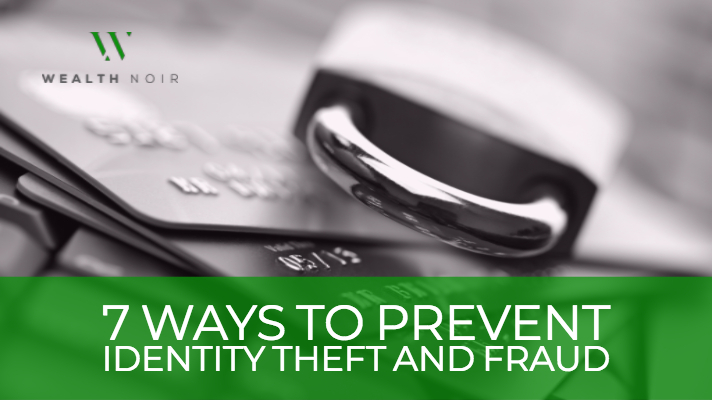 Credit card fraud is commonly mistaken for identity theft, but they are different. Fraud is when someone obtains your card information and uses it to illegally purchase items in a store or online. If you are a victim of this type of fraud, you might find purchases you did not authorize on your bank or credit card statements. On the other hand, identity theft is a crime that goes beyond the fraudulent use of your credit card. It is when people use your name, Social Security number, address or other personal information to commit fraud or other crimes. In most cases, they use a combination of your data to illegally open or access something in your name (think a credit card or checking account) to get government benefits, health insurance, your money or your credit. Unfortunately, those that steal your identity are not always strangers. For example, some parents use their child’s Social Security number and birthdate to get a cell phone or cable, and a spouse may use her partner’s information to open a store charge card. This is known as synthetic identity theft and is illegal. Luckily, there are several steps you can take to protect yourself and reduce the chance that you ever have to deal with identity theft or fraud. It’s important to review your credit report at least once a year to prevent identity theft. In fact, by law, you have the right to a free report from each credit bureau (Equifax, Experian and TransUnion) once a year or after you have been denied credit due to information on your credit report. It’s important to make sure you check your report with all three bureaus because one may have information the others do not, which may be affecting your credit score at that bureau. Always review your report for errors, confirm your debt balances match your records and report anything suspicious. Just remember, the law grants you free access to your credit report once a year, but you may have to pay for your credit score. Visit Annual Credit Report to access your free report and check to see if your bank or credit cards offer you access to see your credit score for free. Credit Karma and Credit Sesame also provide free and easy ways to check your credit report. Credit Sesame even includes some free, but limited, identity theft protection. Most companies will never contact you over the phone and ask you for your account numbers and Social Security number. If you ever get such a call and are uncomfortable providing this information, hang up and call the company back directly. Then you can verify if this practice is standard for that company. Only provide your information when you know how it is going to be used. For example, to apply for a mortgage you provide your name, Social Security number and current address to qualify for the loan. But your lender informs you in advance that the mortgage company will access your credit report to get additional background on your spending habits and current debt. Lastly, refrain from leaving sensitive information around your house where friends or visitors could see it and remove it from your home to use for financial gain. Mobile apps are heavily used by customers today to check bank accounts and credit card accounts. They make it easier to regularly check your account activity and statements for errors or unusual activity. Verify all the charges and dispute any activity you did not authorize. Also make sure to review utility statements and medical claims. Someone could steal your identity to access health care and reviewing your claims is the best way to catch this type of fraud. The less mail you have, the better. Ask your bank, utility and credit card companies to enroll you in eStatements so you can save trees and prevent thieves from stealing valuable information from your mailbox. Then, remember to check your mail often and never let it pile up. If you are planning an extended vacation, ask someone you trust to collect your mail or ask the post office to hold your mail until you get back. Lastly, shred any card offers, loan applications or other mail you get that you do not need. This reduces the number of papers in your house with sensitive information and reduces the personal information you throw into the trash. For added protection, sign up for two-factor authentication for your important online accounts and consider a password manager. The safest computer is one that is totally disconnected from the internet. However, it is unrealistic to expect you to have all your devices disconnected from the web. Therefore, if you are going to have sensitive information on your phone or computer, use a firewall and antivirus/anti-spyware software to reduce your devices’ access to hackers. Create complex, strong passwords for your online accounts and never use the same password for more than one account. Despite all of the news of security breaches, “password” is still the second most commonly used password. Most millennials do not even use checks and teaching kids how to fill out a check is rarely covered in schools anymore. Nevertheless, if you have checks, leave them at home to prevent identity theft. Most of the time you will use a debit or credit card before you write a check at a store. So if you only use your checks to pay bills, leave your checkbook in a safe place and only use it when you are about to send payments in the mail. It is safest to send mail directly from the post office or official post office boxes. Try not to mail anything from your home if your mailbox is not secure. You rarely need to show someone your Social Security number, so you should never keep it in your purse or wallet. If either was stolen the thief would immediately have your home address and Social Security card to ruin your credit and access your cash. If you are really concerned about identity theft, you could consider paying for credit monitoring or identity theft insurance. Before purchasing either, make sure to read the fine print and understand exactly what services are being provided. Research the company by using tools like the Better Business Bureau to verify the company is legitimate and not a scam. Credit monitoring services, like Credit Karma, provide regular credit report access and report updates. They will inform you when someone looks at your credit or opens new accounts in your name. They also inform you of late payments or sudden changes to your report. Identity theft insurance reimburses you for out-of-pocket expenses incurred to clean up your credit report after you are a victim of identity theft. The company may also help you contact creditors, write affidavits or file reports on your behalf. They do not, however, reimburse you for any money that was stolen. If you see unauthorized transactions on your bank or credit card accounts, report them immediately. You could be responsible for up to $50 of the charges if you do not report the fraud immediately or at least within 48 hours. If you wait longer than 48 hours, but less than 60 days, you could be responsible for up to $500 of the charges. Finally, if you do not report fraud within 60 days, the law does not require the bank or company to give you any of your money back. The bank or credit card company will take action to investigate the fraud and may require you to complete paperwork to document the incident. This helps them establish patterns or narrow down particular places where fraud might be happening. They should also issue you a new card. Companies are fighting an uphill battle against hackers, and not all companies have the big bucks for highhigh-levelurity that keeps thieves out and prevents identity theft. Even big companies like Delta Airlines and Equifax were breached. So it’s not a matter of what to do if your identity is stolen, it’s what should you do when your identity is stolen. The moment you suspect you have been a victim of identity theft, take action immediately! If a credit card or checking account was used or opened with your information, contact the bank right away. Any illegal accounts should be closed. If the account is one you currently use, the bank or creditor will work with you to provide a new account number and card. Then watch your account closely for any new fraudulent activity. Always report identity theft to the police. You must file a police report in the county where the theft happened and always request a copy of the police report for your records. Most credit bureaus require a police report to start an investigation. You can also report identity theft with the Federal Trade Commission. As soon as you suspect you are a victim of identity theft, you qualify for another free credit report from each credit bureau, but you must contact them directly for this report. This is especially true if you already received your free reports through Annual Credit Report. To dispute fraudulent items on your credit report, you can submit a form online or write a letter to the credit bureaus. They have 30 days to investigate and respond. If they are unable to verify the information on your report is correct and was initiated by you, it must be removed. When you are disputing information on your report, keep good records. Take note of everyone you speak to and important dates; retain copies of all correspondence, and maintain records of the fraud and when it was discovered. Your credit and identity are essential to your life. For most, your credit report may affect your employment and ability to secure loans or insurance. So protect your identity and make sure that you have control of your records and reputation at all times.